My three day safari in Serengeti National Park with Mindful Adventure was one of the most fascinating and rewarding trips of my life. My guide Innocent, who has a degree in wildlife conservation and many years of experience conducting tours, is not only knowledgable and capable, but also a genuinely unique and interesting person. Our cook Meshach, also a fascinating individual, prepared excellent meals throughout the journey. It was a pleasure getting to know both of them. 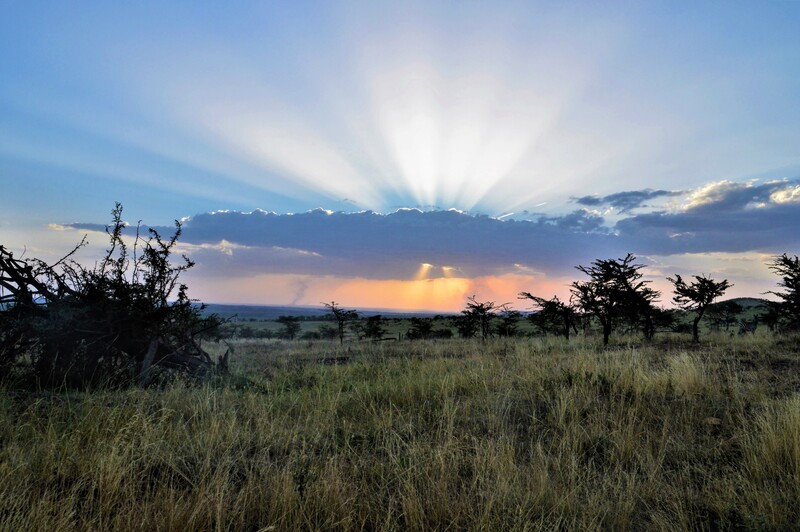 And the Serengeti–indescribably beautiful. In three days I saw more wildlife than I’ve seen in the rest of my life combined, which is saying a lot for someone who loves the outdoors. The entire tour was tailored to my interests as a professional photographer, with excellent guidance and advice from Innocent and Alina, the tour operator. Mindful Adventure is also very reasonably priced and less touristy than many of the bigger tour companies. Highly recommended. This was a wonderful adventure! 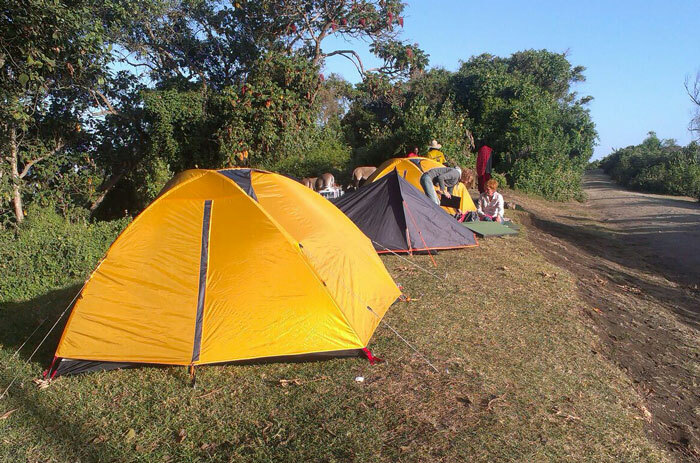 I was part of a group of students living and working in Mwanza for the summer, and we were looking for an affordable weekend camping trip to the Serengeti. We contacted several different companies, and Mindful Adventure was by far the most responsive and affordable option. Alina warmly answered all our questions and accommodated several last minute changes to the trip. Innocent, our driver, was so friendly and knowledgable and having a younger driver made the trip so much fun. I’ve recommended them to other students staying in Mwanza and would absolutely travel with Mindful Adventure again! For me this journey was life-changing in a very subtle, but profound way. Alina makes you see, hear, smell, taste and feel the true Tanzania. De amazing nature that unfolds with every step you take and changes appearance every time, the unique people you meet, my travelling buddies, the memorable encounters with the children, the animals, the fun, the space and the silence, they are all equally unforgettable. The mindful aspect of this adventure raises your senses and brings you down to earth and, especially, into the present. Don’t be surprised if your heart overflows and keeps on flowing or if you can’t stop smiling like me. I discovered my inner nomad who had no other needs than what was there at the moment. Quite something for someone who initially thought she didn’t like tents, travelling in a group, not showering for days, pooping and peeing in a hole and a couple of other minor details… 🙂 I wouldn’t have wanted to miss or change a thing. It was both an ecstatic and liberating experience at once. My mindful adventure in Tanzania is forever in my heart. Don’t wait to book this trip, jump in with heart, mind and soul! It has been a few months now that we made this intense but so relaxed road-trip with Mindful Adventure in Tanzania. And the experience is ongoing vivid. With a small group we travelled with two jeeps through the impressive North of Tanzania under the inspiring guidance of Alina and Rama. It was my first time in Africa and it was a true (and sometimes also confronting) adventure, in all ways. Inwardly, outward, sensory, spiritually. It is hard finding the right words for this very special experience. I wouldn’t want to have missed it and it gave me new insights. About myself, the origin of mankind, about the power and incredible beauty of pristine nature. It gave me a strong experience that we need to live with more attention and peace. And that the peace must come from within. 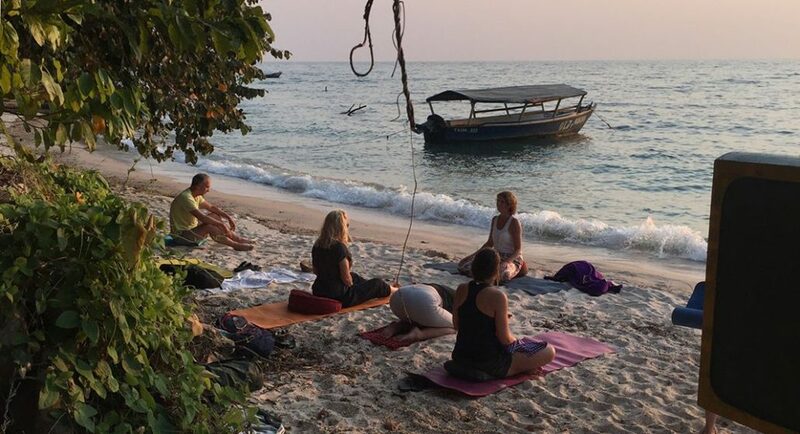 The exercises and meditations we did (often while on the road), made me experience everything much more intense (and relaxed) and feel more conscious of everything that was happening inside me and around me. The colors, the smells, the people, the beautiful and incredible amount of wild animals and breathtaking landscapes that we were allowed to experience. I felt this safari was too short, so much happened. I needed to stay longer at one place to be able to take it in more deeply. The quietness, the space, the mindfulness moments were so inspiring, that I like to do more with that, in Tanzania with your guidance. Hiking was the most valuable to me, especially the one on music in slow motion. At the start it was very difficult for me, but because it lasted very long, I was taken into the flow and found rest and peace inside. Thanks Alina for these experiences. Also the waterfall and climbing to it was wonderful. 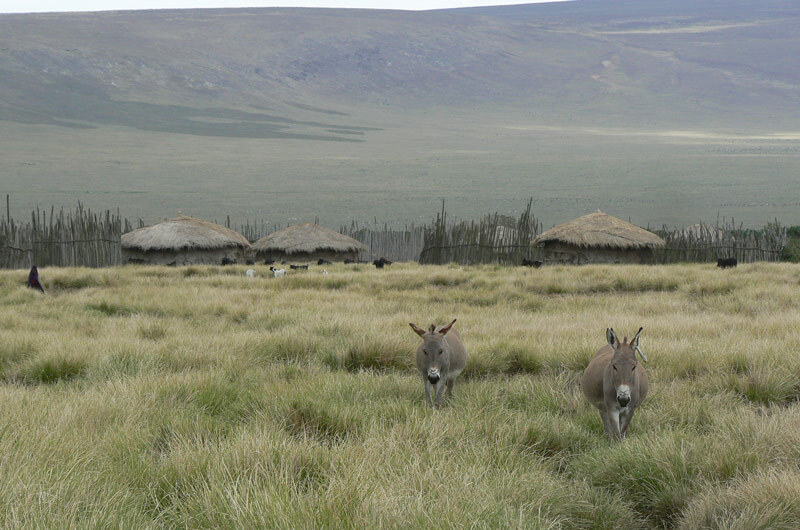 The meeting with the Masaï village was overwhelming and difficult for me. Maybe to me it was too early in the trip. I have intensily enjoyed this land, the people and your crew; they were great. I am thinking back a lot of this safari and I want more. It makes me feel more human”. 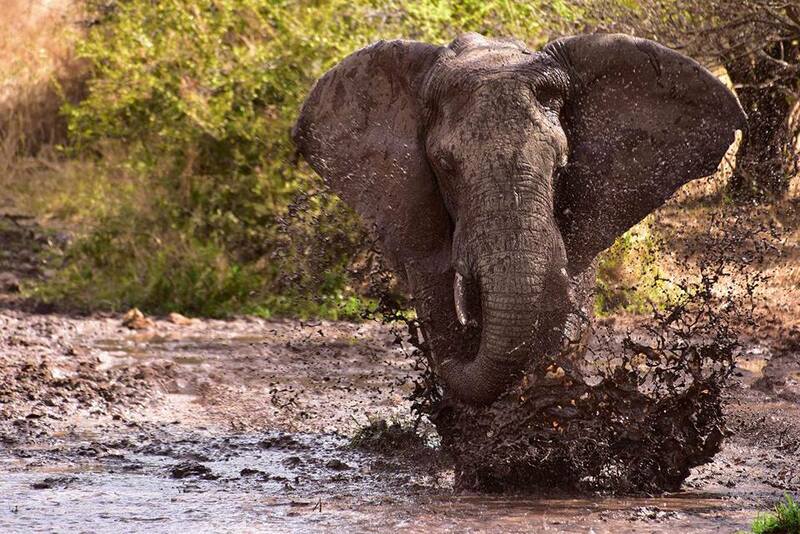 “An adventurous safari on foot in Africa, the origin of mankind. The dream of every boy in the man isn’t it? And which man gives space to the boy? I did for sure. Three times in a row I heard about this safari by coincidence. Three times I thought ‘wow that is cool, I would like to do that!’. Two times I also thought, ‘oh, that is a lot of money, and then without my wife… no I won’t do it’. The third time it was different. I had to do it from the boy within myself, adventure was calling. And the boy was allowed to come along, he had to stay inside for such a long time. And what an adventure it was; campfires, plains, Masaï, dryness, dust, silence, primitive, warriors, forgo, compressed energy, vulcans, emotion, clear nights. Unfamiliar men became comrades. And apart from that all the animals and wonders of nature on the way. But also; meditations, yoga and sharings. That was fairly new to me but it gave such en extra dimension. And all of that in such a setting. To describe the intensity, the contrasts, the small and the magnificence, words simply fall short. What I do want to share is what it brought me; personal leadership as human and man and a more intense relationship with my wife. The talks with the trainers and comrades, Tanzania, the Masaï, they all contributed in their own unique way. I end with a powerfull and loving Aho. Thank you Mindful Adventure and Tanzania for seeing the need for this and for making it possible”. 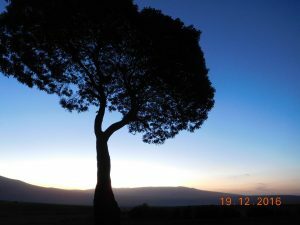 “A camping spot between Masai villages, a tree with a wide view. Dancing Five Rhythms by Gabrielle Roth at daybreak. Memories of years of dancing, memories to profound events then. Now dancing again with emotions of mourning and loss; flowing and crying, stamping staccato and stillness. The Masai guide Muran dancing wit hus, the teen daughters of driver Rama as well. This is life as it can be in al it’s diversity and liveliness. On the road people are walking from village to village, they stand still, watch, and lean on their walking stick for a while, and continue. 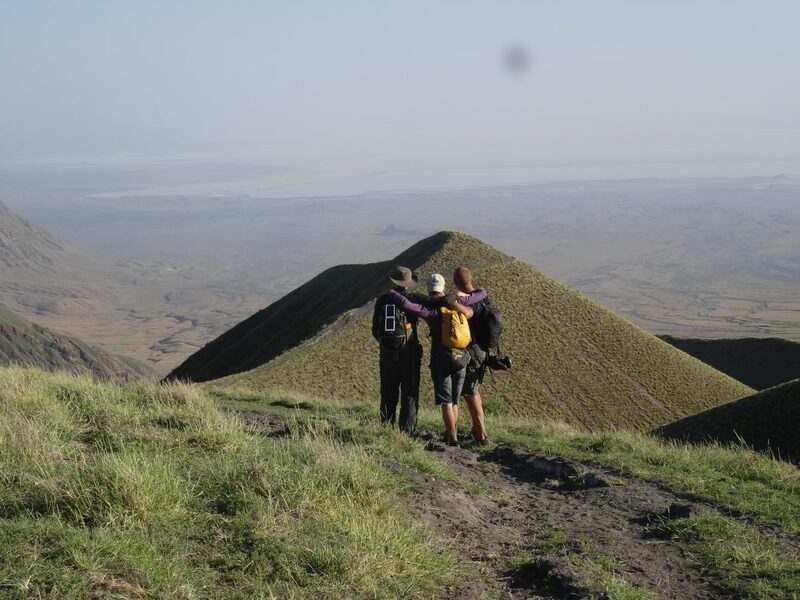 A Mindful inner and outer journey through Tanzania, adventurous and inspiring”. “Some moments I will never forget. 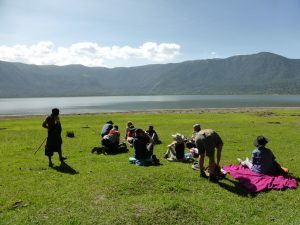 When we were meditating at Empakai, the beautiful Vulcanic Lake in Ngorongoro. I had found a spot where I could just see the Lake through the plants. This was an unforgettable moment of looking within myself ánd looking outward. I felt so carried by nature. All my senses where wide open. Alina chooses for people and places that fit to her Mindfulness approach. 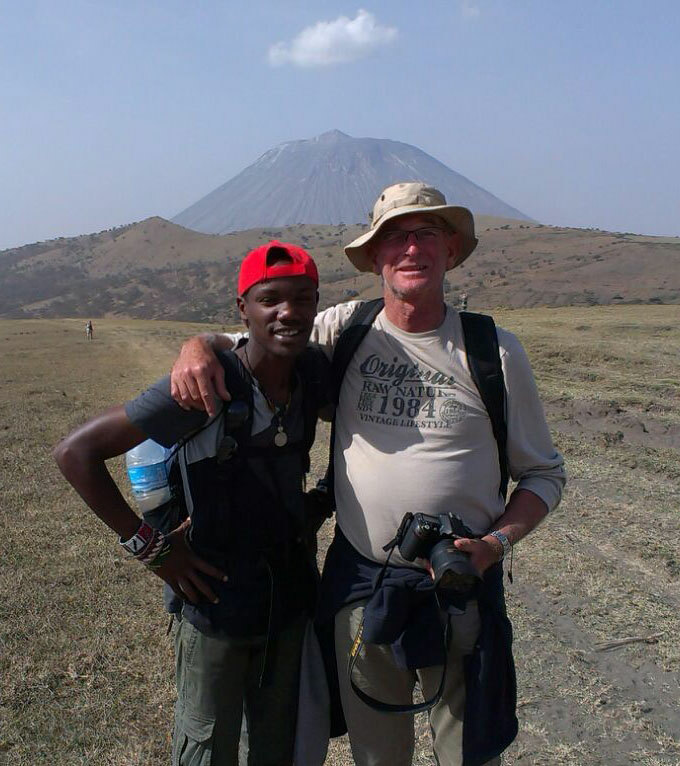 The exercises (that certainly have an impact), the walking, camping in the wild, the Masai that we meet, it all was real and pure. I am grateful to Alina, Rama, Msafiri and Tuma for this very beautiful travel experience. A meeting with man and nature, and with myself””. This safari was a trip to an incredible beautiful country but also an incredible inner journey. From the first moment I was there, my nerves fell away and there was only excitement: “what would happen these coming 2 weeks”. And so much has happened. We watched for lions, elephants, leopards…. What was it beautiful to stand amidst of all that! A real wow feeling. Apart from that there was the amazing beautiful landscape during the walks where we enjoyed so much more because of the mindfulness exercises that made us live completely in the NOW. Every meal was a feast from our loverly cook. If you are in doubt, just do it and let you be carried away in a special adventure. I am taking it with me and am absolutely less fearful since I’m back. Really wow!!!! Wow, what a trip! I knew there was something with me and Africa, but this trip made me experience and see this even more. The (walking) meditations made me experience everything more intense and made mee see the beauty of the African landscape even more. 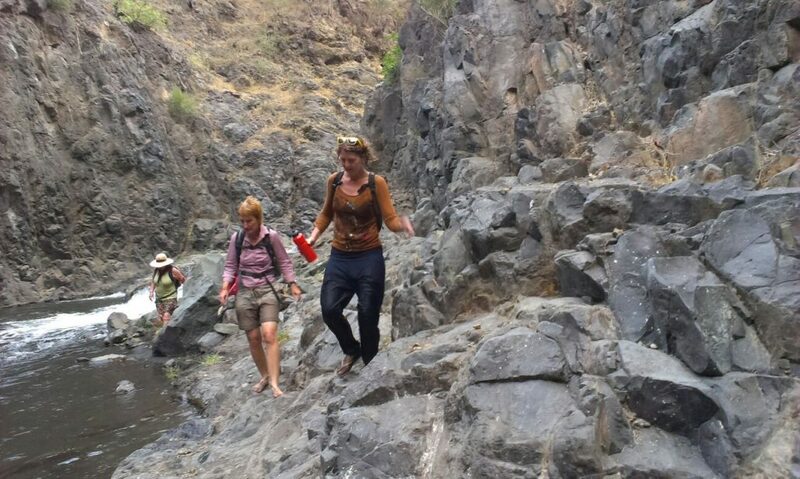 The walking trekking, The Masaï, the wild animals, driving through the African landscape, hearing the roaring of a leopard, the African relaxdness (pole pole), all highlights of this extraordinary safari! AFRICA! I didn’t know much about it really. I felt attracted to Africa, but also tense because of my ignorance about the country and its inhabitants and not knowing what was going to happen. Msafiri was welcoming us on arrival and that was very nice. I felt safe from day 1 onwards. The people are very sociable, speak reasonably English and are cheerful with a positive attitude. They also take good care of the food. I especially appreciated camping on small sites and being in touch with nature and locals instead of traveling around like a rich tourist. The contrast between rich and poor was made crystal clear during this trip. The climate is good and certainly not too hot. Nature is overwhelmingly beautiful. I have never been in a country with so many different animals and birds. Streets are colourful. The trip itself has a diverse program with riding, walking, temperature differences, heights, relaxing, meeting Masai villages and towns. I felt I was traveling with friends instead of a travel organisation which made the whole experience very special. Africa, I’m glad I met you. Many thanks to Alina and Msafiri for this beautiful experience. 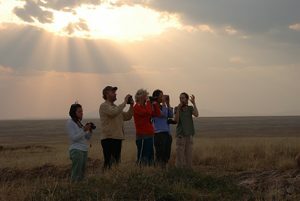 It has been a fantastic experience to travel to Tanzania with Mindful Adventure. It was a completely different holiday compared to standard trips offered by most travel agents. 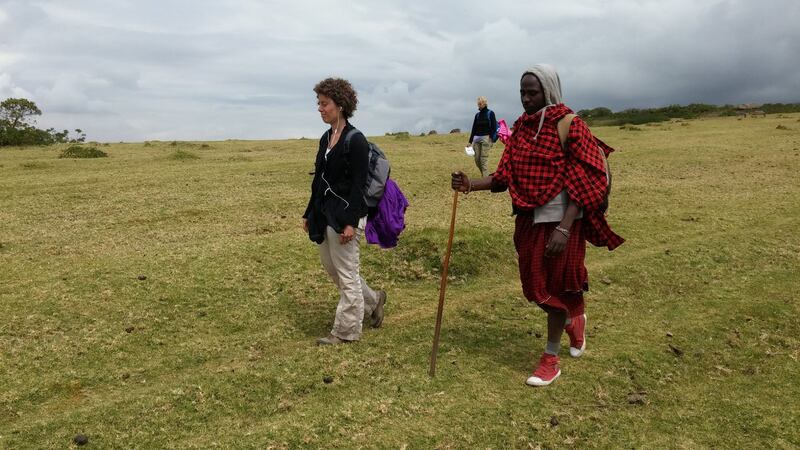 Walking with the Masai through the ever changing views of the countryside; absorbing the greatness of nature and camping with donkeys, their riders and our own cook. My three highlights were Tarangire, Ngorongoro and Serengeti and I also really enjoyed swimming underneath romantic waterfalls! It is indescribable how many animals can be spotted in such a short time. I thoroughly enjoyed it and often still think about it with great pleasure. 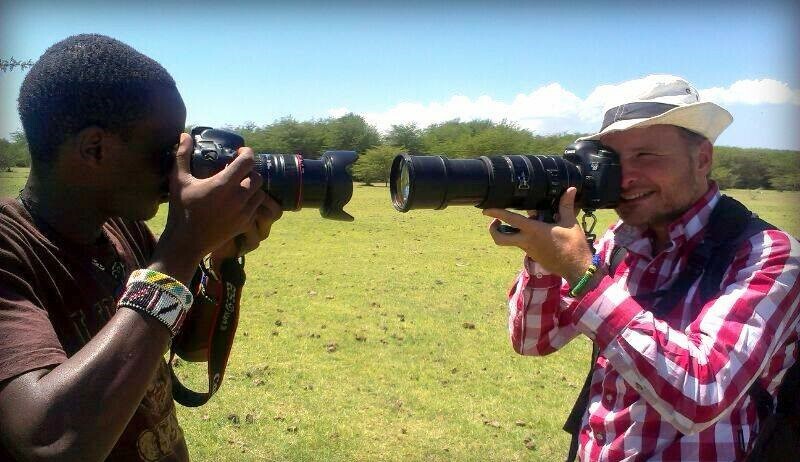 A hard question to ask: “who is taking better care of this earth, de Masai or the remaining people in this world”? Do you have any questions? Don’t hesitate to contact us!